Nejprve mu vzali dceru. Teď si jdou pro něj. Francouzský akční film (2014). 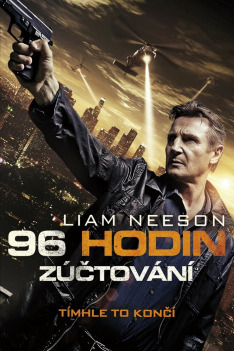 Hrají: L. Neeson, F. Whitaker, F. Janssen, M. Grace, D. Scott, S. Spruell, D. Harvey, D. Bruno, L. Orser. Režie: Olivier Megaton. Neeson Liam, Whitaker Forest, Janssen Famke, Grace Maggie, Scott Dougray, Spruell Sam, Harvey Don, Bruno Dylan, Orser Leland, Warshofsky David, Gries Jon, Weston Jonny, Beecher Judi, Howard Andrew, Pralgo Robert, Thrun Scott, and others.